Scripture reveals that the great business of life is to glorify God by enjoying Him forever. In this paradigm-shattering classic, newly revised and expanded, John Piper reveals that the debate between duty and delight doesn’t truly exist: Delight is our duty. Readers will embark on a dramatically different and joyful experience of their faith. A modern manual of true spirituality. 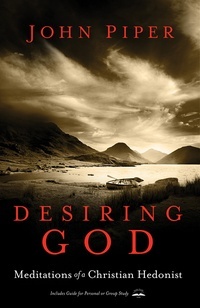 A soul-stirring celebration of the pleasures of knowing God…a must-read for every Christian, and a feast for the spiritually hungry. The healthy biblical realism of this study in Christian motivation comes as a breath of fresh air. Jonathan Edwards, whose ghost walks through most of Piper’s pages, would be delighted with his disciple.